Has spring already sprung in Järna…? Perhaps it should not be said aloud for fear that winter might feel overlooked! Yet a warm sun shines from blue skies today, with all the hints and smells of spring. 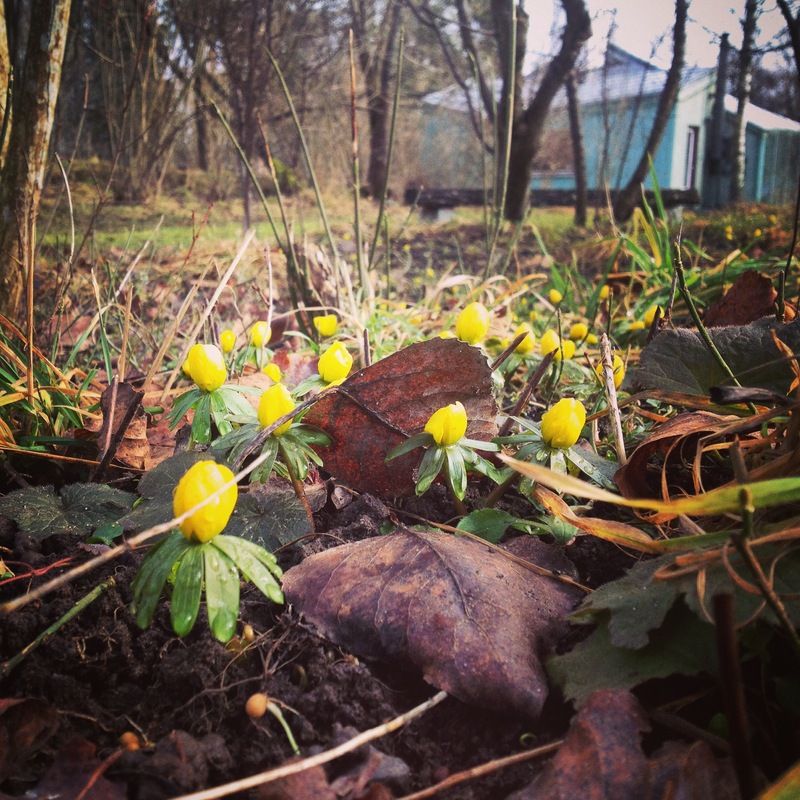 And despite the frosty nights, little Eranthis flowers have poked through the composted ground, strong and full of promise. Perhaps they just needed a little peace and quiet to make their golden, green and modest entrance into the world, for the Yippies are off on Internships and Ytterjärna seems veiled in quietude! Whether it is island-initiative hopping in the Philippines or navigating Himalayan mountain roads in Nepal, the participants of the Youth Initiative Program have finally stretched their able wings. The long travel to Cape Town warranted an immediate visit to the waters of the Atlantic Ocean and the crew that flew to Los Angeles have arrived safely in Watts. For those of us left behind in Sweden, we can only imagine the brilliance of what will meet them all in these next weeks and wonder at what kind of people come back to us! Last week, In the midst of the Swedish winter, which is not something mundane for a guy that spent most of his life under the warmth of a blazing sun, I had the privilege of hosting my dear mother and her close friend for a week of YIP. Every person that knows YIP would probably identify it, among others, as a process of understanding, stepping into, living and creating the so-called “New Story”. The New Story for individuals, communities, nature and humanity as a whole. Grasping the concept of the New Story may be a constant process, as well as its emergence. Yet the first step for it is probably a question, a care, a wondering. During this year I have met many different question askers, in the shape of contributors, organizers, Yippy friends and others. In the life of many of them, stepping into the unknown space of the New Story was or is accompanied by the resistance of the Old Story, inwardly or outwardly. In other words, the Old Story of our lives is striving for survival – and that manifests in two dimensions. The first one is from within – our fears, beliefs and conditionings draw us back to the supposedly known safety and comforts of familiar thinking. The other withdrawal comes from our environment – we are seen as naïve or confused by our friends, families and institutions, or archetypally, our parents. What is it that a child wants more in the world than to make her or his parents proud? And here lies the source of many pains of humanity, when the child makes the efforts to be seen by the parents instead of the parents work with themselves in order to truly see their child. My mom was not born to the New Story, yet she bravely stepped into it. Her life’s work was meeting herself, for the sake of seeing me and my brother. She blissfully sees me today, when we can discuss Anthroposophy and Kabbalah; and she was also doing everything she could in order to see me when my highest interest was the next brand jeans. She didn’t always succeed, because it is neither possible nor healthy to raise a child without him or her experiencing some pain. But as our beloved Rudolf Steiner would say, it is first and foremost the true work and intention that the parents carry that the child absorbs and appreciates on a subconscious level. The one thing she repeated again and again when I was growing up, being able to do really well in school but also to hurt the teachers, other pupils and my brother and parents, was: “I don’t need you to gain high achievements, only that you’ll be a human being”. Now, we can speak for hours about what is a human being, and seeing YIP through my mom’s eyes this week, was seeing a whole group of human beings – which for me, in short, means a group of individuals that are willing to meet themselves. “This program is a huge privilege” she said. “This girl is so talented and that guy is really something… such a rich group of individuals”. The dedicated support of the team, the deep conversations over lunch that become a casual thing, the diversity of the contents and the intention, curiosity and sensitivity that each person is carrying here were once again a wonder for me, re-meeting everything for the first time. Sounds utopian, doesn’t it? Then why is it that whilst seeing that huge beauty, I also see another pain to heal, another interaction that is not fully open yet, another responsibility to be taken, another capacity to be developed and another barrier to be disassembled? It is because the two don’t contradict each other. The New Story doesn’t mean that there is no pain, fear, conflict, dangers, questions and doubts. It doesn’t mean that there is no more work to be done. 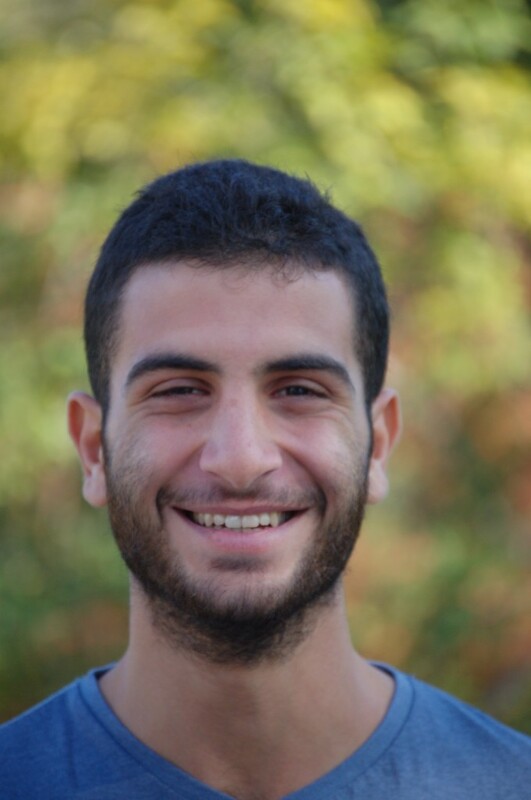 “These young individuals have huge capacities of understanding, and there is also a long way to go” my mom would say. It is not the ending of the process, but rather the beginning of it. And if we want to create that New Story for the world we live in, we first have to experience it. 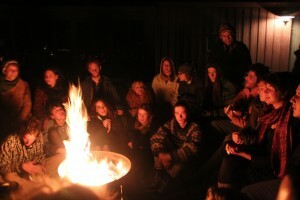 YIP is the place to do that – it is the non-utopian utopia. And I am thankful for every moment of it. One of the strengths of YIP that I see is it being a place for reflection on the levels of both self and the world. This inner work, though always lingering underneath, was most present in the week of Biography Work, with our own YIP Coordinator and counselor, Annie Meijer, and her colleague and friend Mary McArthur. Guided by some theory on human development derived from the studies of Rudolf Steiner, we were invited to reflect upon speak about our own biographies, as well as listen to the stories of others. To heal wounds and harvest lessons from the path we’ve walked so far. It moved me; the deep respect and humility that spoke out between the lines of every second of this special week; a deep understanding for what it means to be human. This is what I was searching for. This is what I want to learn. It’s in the way of listening we practice. Without judging, without coloring a story with ourselves. Without thinking that we know the solution, that we could ever know or understand somebody better than they do themselves. How we can witness somebody, support them, whilst letting the person stand in freedom. Without comforting, without trying to solve or take away. To bear pain and vulnerability. To just hear a story, truly listen, leave it open. No response. In that openness, to give space for insights from the higher world -whatever that might be. And to dare to do this yourself, to be seen in all your nakedness. There is a lot of inner work to be done, if in a relationship, you really want to let the other person stand in freedom. To face the chances for development life offers to you. To stop blaming others and dare to listen to what you can learn from it. Whilst being realistic; staying in an abusive relationship is no sign of enlightenment. It’s hard work, yet so valuable. And so needed. If we really want to create a better world, where we live in healthy communities and take care of the Earth and each other. That we no longer let our egos rule us, our undigested wounds, our fears and insecurities. That we free ourselves from our past, yet also see the meaning of the happenings that have formed who we are. And that we learn to see the other in that way as well. Not their appearance, not their personality, but the essence of their being. That we allow them every day to be different from what we expected. When somebody tells their story, those little annoying habits mean so much less. When a person starts to speak, to reveal their depths, there is no longer room for a simple liking or disliking. Then, we’re both human beings, stumbling on our path of human development. A big thanks goes out to all who supported our social media push via Thunderclap! We have already recieved one Application as a result of your efforts, and more are coming in by the day! Reading applications reminds me of why I work with YIP! Every time a new application comes in, I first look at where the applicant comes from and how they have heard about YIP. I imagine these young people from diverse continents being sparked by YIP, whether it’s through a friend, a random Internet search or a post on a social media platform. All these people have a story, a past that formed them, a present that they engage in and a future they are working towards. YIP is a potential place for those stories to meet. A new group is slowly forming and we, as the organizing team, have the privilege to watch it happen! 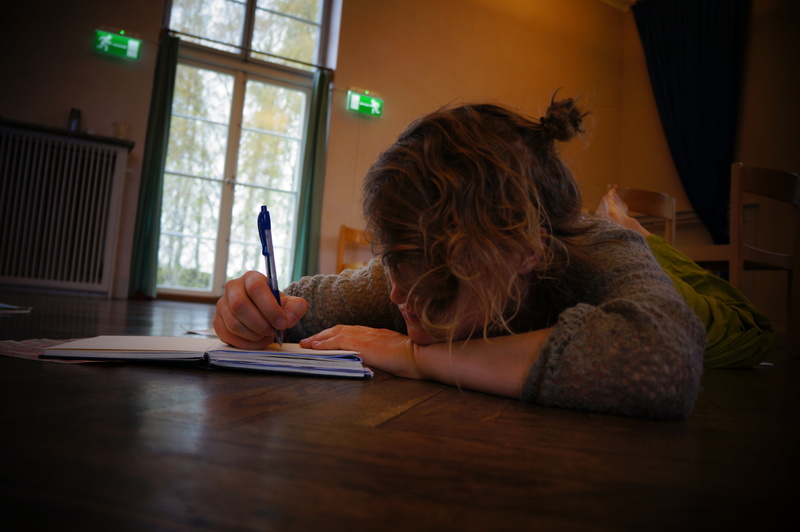 Brave people from around the world sign up to be part of this program in rural Sweden, trusting and knowing that it is the right place to be, to learn and to develop skills that will bring them into new stories after their shared adventure. In the application we encourage the applicants to present themselves in a bold and honest way; to share their life stories, their ability to reflect on themselves and their past initiatives, to share their dreams and intentions for the future, and their overall motivation for taking part in YIP. Reading their words is exciting and encouraging and motivates me to hold and support their journey the best I can. 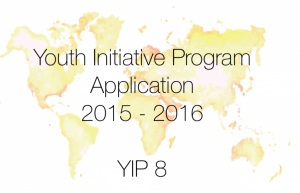 A warm welcome to the future YIP8! “Life-after-YIP”, “Life-after-YIP”, “Life-after-YIP”… In the last months of YIP6, we talked about this so often that the word-combination became an entity in itself, a screen onto which we projected all our possible hopes, fears and excitement. Now that we’ve become Alumni, Life-after-YIP is posing a question: How can we, as learners, continue to support each other to grow and bring our gifts to the world? 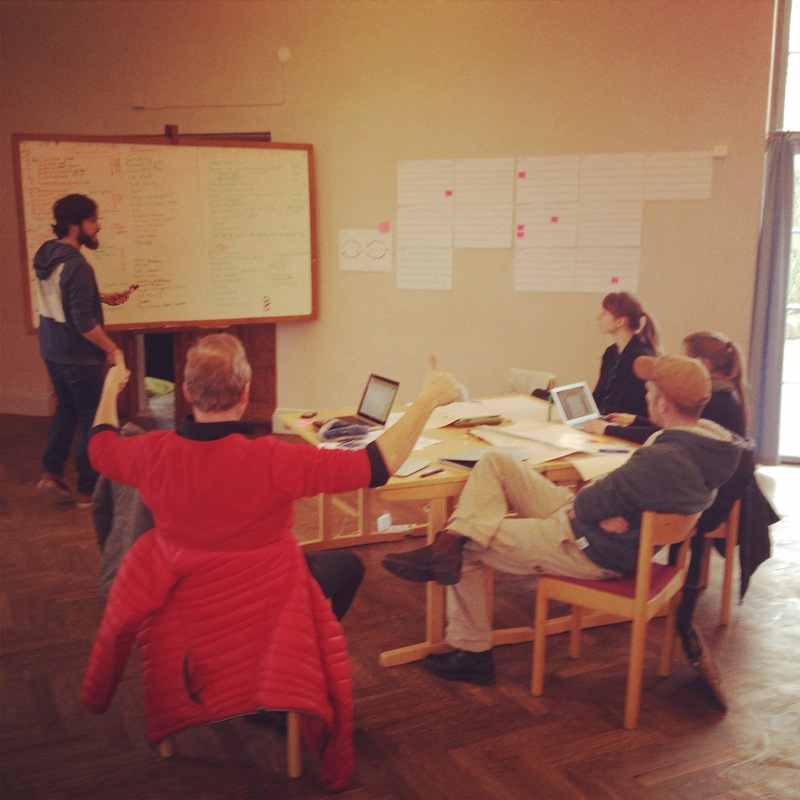 Since December, a small group of us have been developing an idea for a YIP Summer School. For ten days from the 9th to the 19th of June 2015, just before Initiative Forum, we wish to set up camp in Järna and co-create a temporary and experimental learning space we have named ‘SHAPE’. The School is open for up to thirty participants, both YIP Alumni and other young world shapers. We’ve been in close contact with the current YIP organising team throughout the preparation process and this week we agreed to host the School under the umbrella of the YIP association – and to explore what this may grow into for the summers ahead! As for this summer, we’re very lucky to be hosted by, and collaborating with, the pioneering community-supported farm Under Tallarna. We’ll be working and learning on the land with the farmers every day as part of our self-designed curriculum. To play – to explore what education in the 21st Century might look like. Together we’ll create space for checking-in and getting to know each other; for exploring questions that are alive both individually and collectively; for peer coaching and skill-sharing and for working on our projects. Day by day, we’ll co-create our learning, staying open to what is emerging and reflecting on the process together. We are also looking forward to getting our hands dirty and working with the land. And we will celebrate our time together! It will be a beautiful and slightly mad experiment, investigating the possibilities and boundaries of education – and we hope it will be the first of many. We have just launched a website with all the information on the Summer School: www.yipsummer2015.strikingly.com. You can also contact us with any questions and comments you might have at [email protected]. For the Organizing Team, who have remained behind in Järna, we are hard at work putting our minds and hearts into the structure and curriculum of YIP8. We’re brainstorming how to make next year rich and balanced. An afternoon Fika, perhaps? Beekeeping? A Course on Cinematography? Much of it is still being worked out and not everything is set, but at this stage, everything seems possible! As the Yippies are off on Internships engaging with different people and places all over the world, Ytterjärna will remain a bit quieter than usual for another few weeks. Their arrival back in the beginning of April will be marked with Presentations of their experience before diving back into the Curriculum: Living Thinking, Living Doing, a course hosted by YIP1 Alum, Christoph Walther, and returning Contributor, Michael D’Aleo, will lead us on an inner and outer journey through Nature in the latter part of April, Charles Eisenstein will join us in May to open up discussions on Sacred Economics, and Roi Gal-Or will present Story as a form of positive social change. Dispersed throughout the weeks between, we will be working on the Initiative Forum, executing various interactive projects and venturing out on an Outdoor Experience. Time is flying, and pretty soon …well, we’ll leave that until it comes! 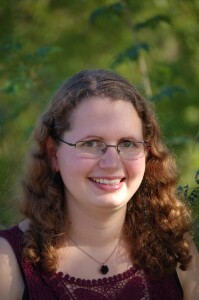 The Newsletter is a monthly mailing update on the life and times of YIP and is a wonderful way to remain connected. It is sent out once a month and gives an overview of what has happened, what is happening and what is on the horizon. Every quarter (3 months) we plan to put out a more in-depth issue that looks into the Organization of YIP from a similar lense. Please spread the good word of YIP by forwarding to friends and family and inviting them to sign up!